Ben - This year's BA festival of science was held in Liverpool: a city more famous for football and the Beatles than for science. With hundreds of talks here and events to join in with Liverpool played a wonderful host. Over the last week we've heard why surgery may be the only option for the morbidly obese. Why binge drinking as a teenager could permanently change your brain, why performing conjuring tricks could do magic for your social skills, but first, the BA always attracts some of the biggest names in Science, keen for an opportunity to engage with the public. This year was no exception. 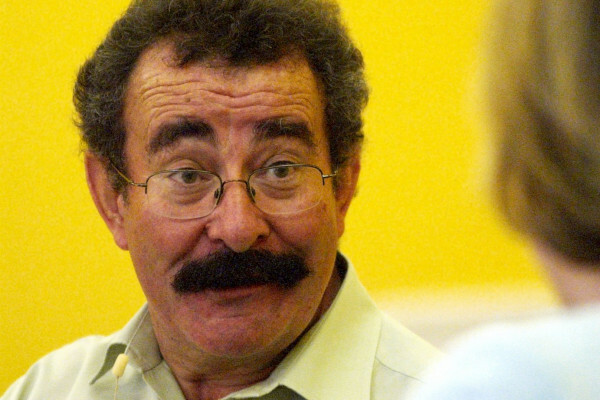 Lord Robert Winston, better known for his work on fertility dropped into the festival to exercise his position as Chair of Science and Society at Imperial College, London. In a talk all about the impact of science and technology on our society, held at Liverpool's Philharmonic Hall, Lord Winston explained how we need to understand that scientific advance has both its ups and downs. Robert - I think it's fair to say that all technology has an upside or downside. Every technology we've produced, be it the stone hand axe, farming (farming produced all sorts of diseases which we didn't have before and also assisted in narrowing the diversity of crops, made us much more vulnerable to global warming, for example - climate change). Cities: probably the next technology, 8000 years ago, which resulted in a much higher death rate because of the spread of disease or water supply and so on. Transport, the wheel, energy comes into this as well. Everything you think about is at one level leading us down a very dark slope. I don't believe we should be depressed, I think we should be reflective. We should be optimistic but if we showed proper responsibility we can combat things like global warming. We can combat the risks that nuclear fission present and use them wisely. In order to do that I think we have to have a very clear idea of what the responsibility of the scientist is. I think we have to have a much clearer idea of our ethical responsibility, our commercial responsibility, our responsibility to society. Above all, I as a scientist who has to recognise like all of the scientists pretty much that the science we do is not the science belonging to me. It's not my science. The science belongs to society - society essentially is paying for it. Its negative effect is also an effect on society. We have to have a much clearer understanding that we have to have much better responsibility to society. That responsibility implies better citizenship from scientists. Some scientists don't like that message very much. That is changing, I think. Ben - Do you think that scientists have a responsibility to provide society with the science that they want or the science that they need? Robert - That is a very interesting question and it's one that is always being asked by the research councils I sit on. The Engineering and Physical Sciences Research Council. It's a question we ask ourselves to some extent in council. I think we have to lead providing the science that we thing is most appropriate to society. I think we also have to be very clear that we have to listen to society when we do that. We have to have a dialogue and we need to be able to explain very clearly why we are pursuing that particular area of research in relation to another area that we don't regard quite so highly. I think that's really important now when there are so many examples in the things that we've found. If you take the EPSRC, for example, synthetic biology, nanotechnology, the digital economy: all of which have very serious downsides. The digital economy because of surveillance, synthetic biology because of the potential for creating life which actually might well markedly affect humans and nanotechnology because we maybe choose toxic effects which we can't control. These are all theoretical constructs but they are issues and therefore I think that we need to be very, very switched on to the fact that society, particularly democratic society, is highly literate; very intelligent and equally capable of dealing with the issues as we are. If they're denied the possibility then I think we run into trouble. Ben - It's not true to say that regulation is hampering science. Robert - Regulation needn't hamper science. Regulation can actually promote science. On the whole I think regulation can be a huge advantage to science. If you demonstrate that your regulators are making sure that you're doing stuff ethically that's a fantastic advantage. Unfortunately in Britain we definitely live, unquestionably, in an over-regulated society. We are risk-averse and unfortunately it goes right through our society. That's why school children can't do scientific experiments, because of health and safety. I want to change that and bring them into Imperial College to do those dangerous experiments. That is not healthy for our society: the idea that children can't roam around to explore the world around them because there are paedophiles behind every tree. It's a nonsense. We've no evidence of it, that knife attacks are much more prevalent now. Actually the statistics show the reverse even though the news papers and the police and the government talk about knife attacks all the time. Knife attacks aren't more common. We've become a society which is not actually prepared to face the realities of what real risk is. Ben - Here in Liverpool for the BA Liverpool is also this year's European City of Culture. Surely it's a good thing that the Science Festival is in the City of Culture. They're far too often thought of as being separate things. Robert - I agree completely. Science is part of our culture. It's a key part of our culture. The difference with a scientific culture is something in educational terms. We read Shakespeare in schools as part of our culture and we read Hamlet as one of the greatest plays in the English language, which was written in 1599. The difference between the science of chemistry and what happens in Hamlet is quite simple. The text of Hamlet fundamentally hasn't changed since the first folio was published. The text of chemistry changes month-by-month. That does make the educational issue rather a special one. That's the need to constantly update teachers to give them better career development and so on. We're not doing that very well in Britain. That's something that we need to look at but you're absolutely right. There's no question that if we saw science in Britain as part of our culture as important as the music that goes on in this place or as important as the theatre we would be a healthier society - unquestionably. Ben - The swarms of people who attended Lord Winston's talk would no doubt agree that a night of science is just as exciting, entertaining and important as the finest opera or the best of The Bard's plays. Next What is the LHC?